Hello blog space! Yes it's me again and I'm really trying to keep up to a writing momentum so hopefully I'd have more trips to take across the year so I could always be on the writing ball. But until those trips materialize, I'll just keep revisiting my Bangkok adventure last month. 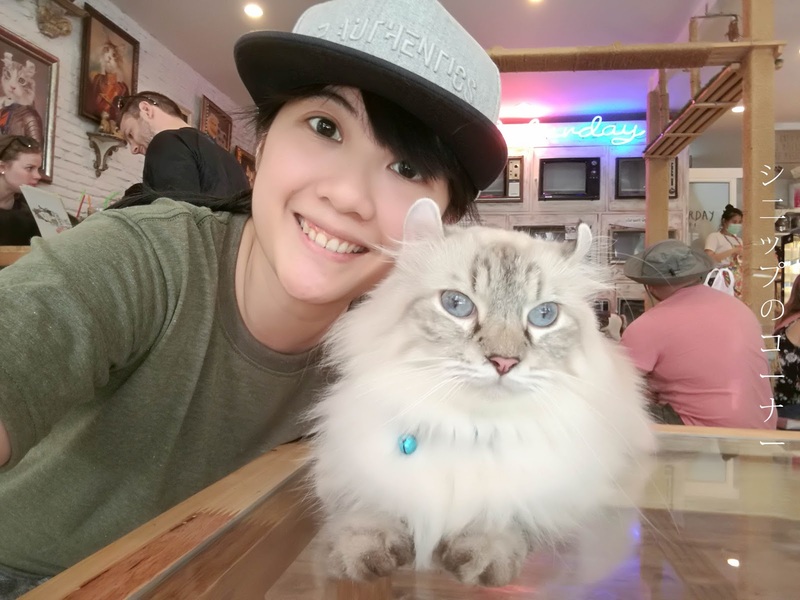 It's funny how visiting a pet cafe has now become a thing to every trip I take, but mostly it's a cat cafe that tips the cake because my other half is a cat lover. It's pretty obvious too, because he has 3 furkids living in his room - yes, 3. 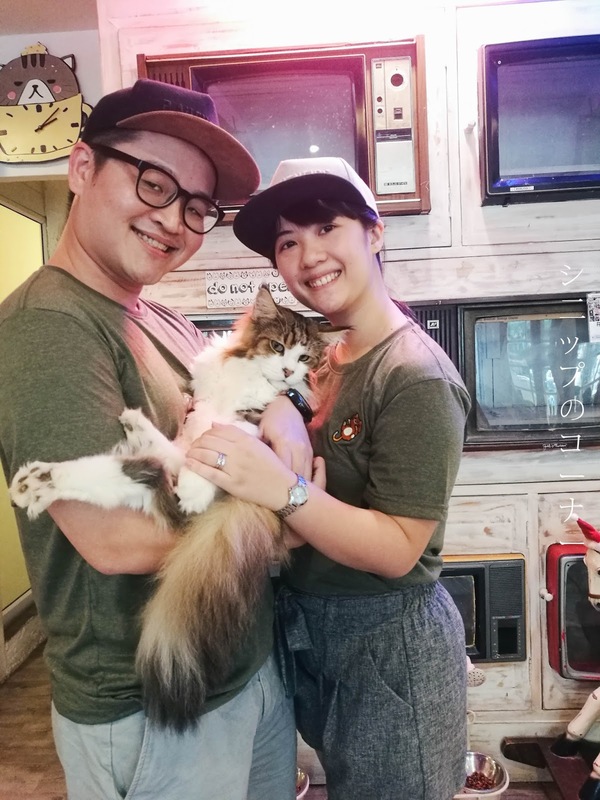 This time, he discovered Caturday Cat Cafe that's located right below the Ratchatewi BTS station and we knew for sure we needed to visit it. When you first enter Caturday Cat Cafe, you'd think it would smell terrible because cat's poo smells ridiculous but it's obvious that this cat cafe is really well maintained. Before entering, you would be greeted by a friendly staff who would ask you to wash and sanitize your hands and then guide you to your table. There is no entrance fee unlike most pet cafes, but it's recommended that you get a drink per person while you're there. It is fairly pricey but I'd like to believe it goes into helping the cats get a better livelihood. Why do you all look so displeased? 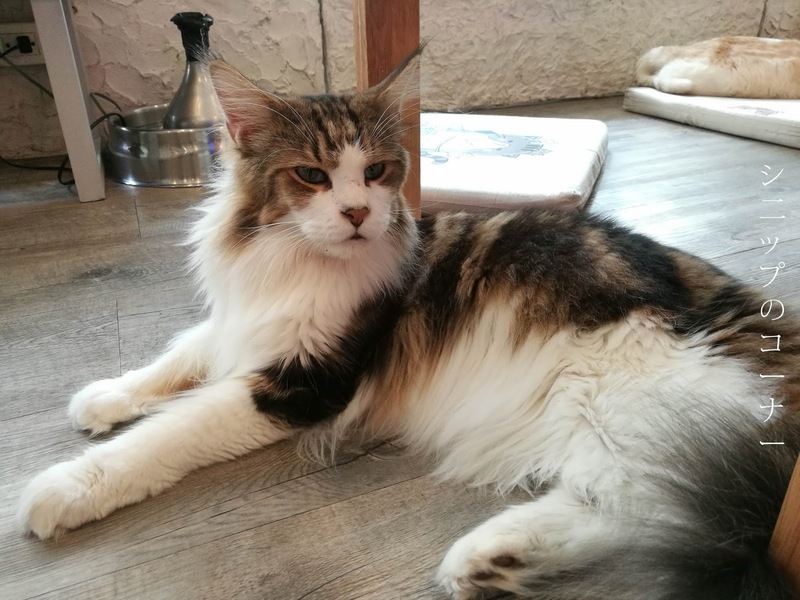 Most furkids at the cafe are purebred however, with the most majestic one being the Mainecoon. It was a show thief and my other half was absolutely head over heels for it. 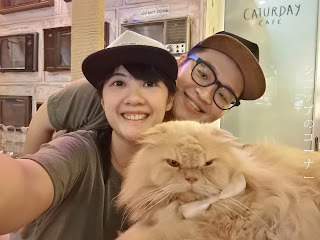 We also paid an extra 80 baht to have our picture taken with a cat of our choice and obviously my other half picked the Mainecoon without skipping a beat - as seen in the family portrait. That said, the other cats are also pretty cute and it's obvious that they're all very well kept. Even if they look grumpy most of the time. To get to Caturday Cat Cafe, you'd first have to grab a BTS to the Ratchatewi BTS station and take exit 2. Once you've gotten out of the station, take a slight u-turn to face a row of shops on your right and walk right through that parking space. 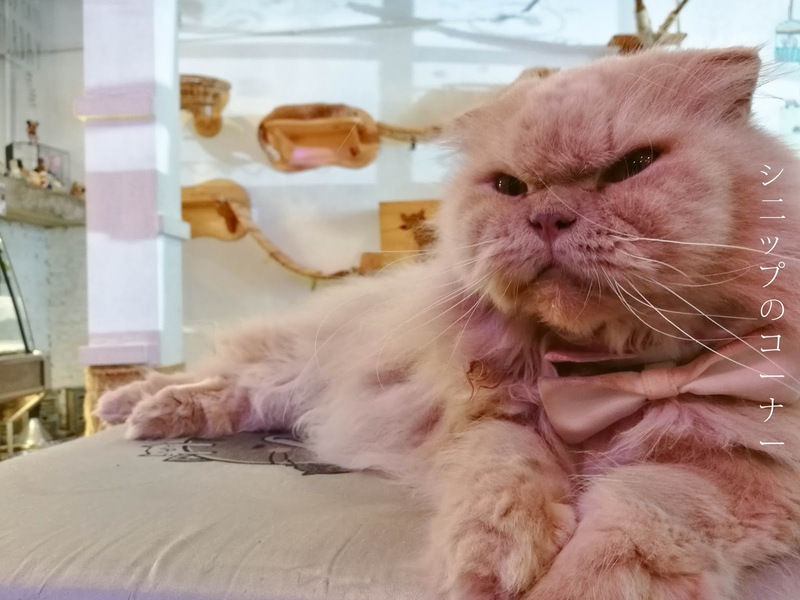 Caturday Cat Cafe will be on your left and you'll be well on your way to kitty heaven in no time. I promise you that the trip is worth it. Nothing like a tuk tuk in your shot for a Bangkok vibe. 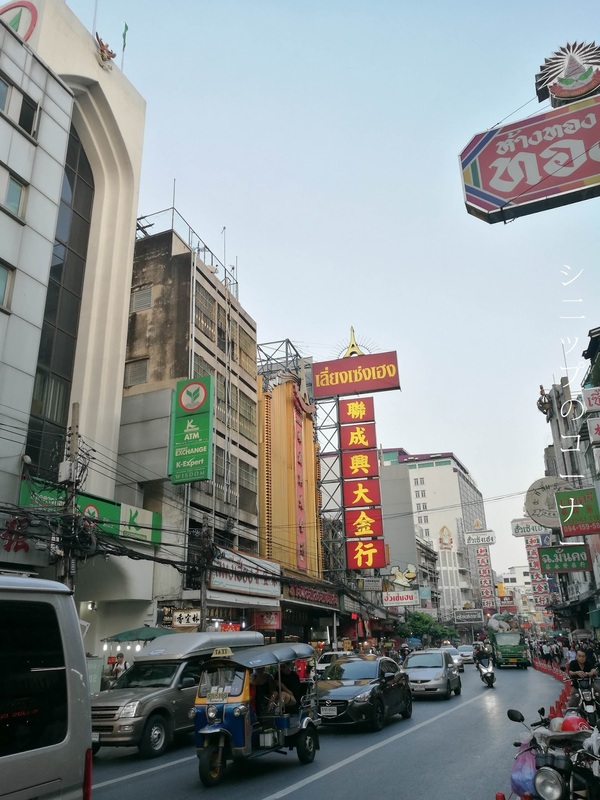 Yaowarat is also known as Bangkok's Chinatown, and it's THE place to be if you're looking for roadside seafood, bird's nest and random bites here and there. 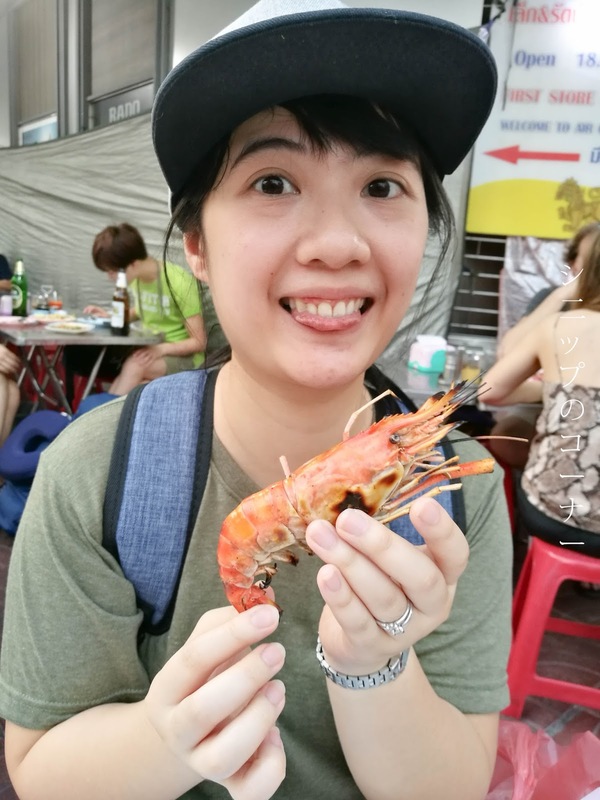 Our first stop was T & K Seafood, a place that my other half found after watching a YouTube recommendation. 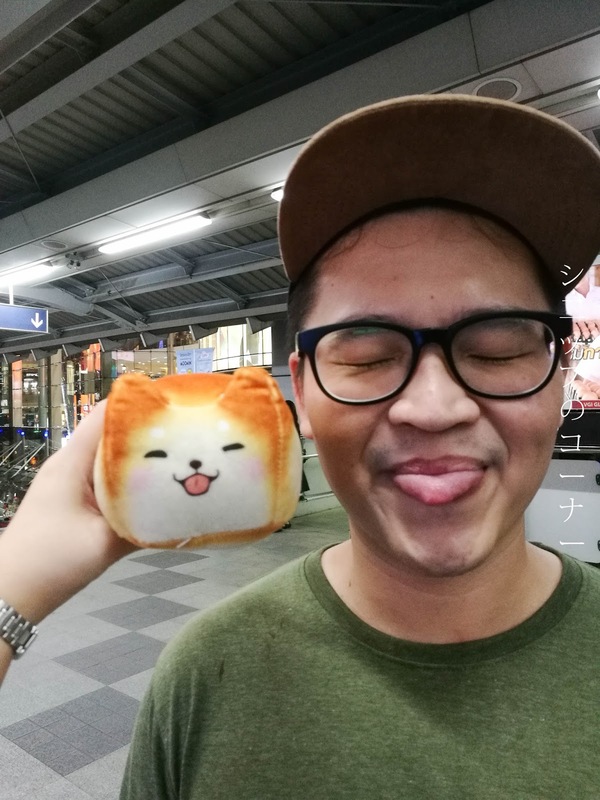 Bangkok food got to me, check out my double chin! With grilled prawns and squid eggs in lime sauce on our tables, I'd say the dinner was a decent fare. The seafood was undeniably fresh and service was warm and quick, but it didn't come with the easiest of price tags. Our meal itself came up to about 900 baht, with the most expensive and unworthy thing in my honest opinion being a bottle of tangerine juice at 230 baht. It was a good try however, and you'll almost never miss it because of how extensive the shop is over a little corner. Just across the all famous T & K Seafood, you'll notice a line forming around the corner just outside the Government's Savings Bank. A stretch of the road is even cordoned off for everyone's safety and if you join the queue, you'd notice that it's really just for toasted buns. It ridiculously. 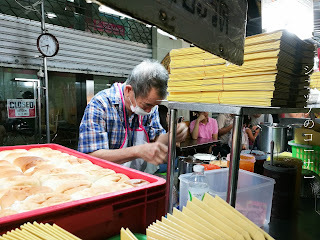 Carefully grilled over charcoal fire, Yaowarat's toasted buns doesn't have an official name to the stall but is run by an old man and several of his quick handed staff. Be prepared to wait close to an hour for your buns however, because the queue just goes on and on. To make your orders, grab an order chit from the front of the stall and pick what filling you'd like in your buns and how you'd like it done. You can pick from fillings such as chocolate, chilli, egg custard, marmalade, and a few more choices and also choose your bun done-ness between a soft on the outside and crispy on the inside or vice versa or just crispy on both. Once you're done, be sure to look out for the number on your chit before you drop it in their order basket as they would call it out for your bun collection. We picked the chocolate, chilli, and egg custard (Also known as kaya) with soft on the outside and crispy on the inside buns for 20 baht each and devoured them all right next to the stall. Was it worth the 1 hour queue? I'd say it was a yes and no. For the experience, these toasted buns were definitely something and the chilli filling felt kind of creamy with a spicy kick - kind of like having chilli crabs (?) while the chocolate filling was nothing much to shout about. 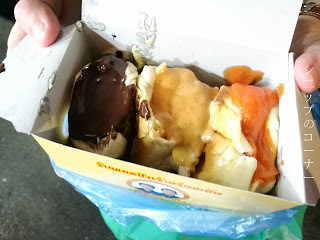 The egg custard filling was pretty good however, but didn't have a good enough kaya kick as I wished it would have had. We ended up going home with a bread-like cat soft toy that we found in a random shop near Yaowarat for 40 baht, and it became our souvenir from Bangkok aside to the clothes and collectibles we got. We call it Minbao or "bread" in Cantonese for rather obvious reasons, but now we wish we got more than just 1. Maybe next time.